I’d like to share a Unit I’ve been fiddling in the last couple of days! It’s a simplified version of a Reaktor instrument I made few years ago for performing whoosh sound effects. Swipe(A1) : your main parameter, it will affect the volume, high frequency damping, pitch shifting and panning. RndPara(A2) : will randomise the the speed parameter of all the samplers. RndSmp(A3) : will randomise the Slice parameter of all the samplers. For best results use Sample Pools filled with many (preferably mono) looping textures so that randomising them will always give you a different but consistent blend of content. Tremolo & TreRate : respectively activate and modulate the speed of the tremolo. The Swipe control also influences the Tremolo Rate so that the frequency is slower around the centre and faster around the edges. Source(B1) Crossfades between the Jack Input 1 and the Loop samplers allowing to choose one or the other, or a balance of the two. Impacts Dials in an impact sample which gets triggered around the middle of the Swipe control. By default it also Ducks severely the Loops. To bypass this behaviour go to Swipe/Swipe/Processing and bypass or the “Duck” unit altogether. To add samples to the 3 players open the Custom Unit then Swipe/Loops/A B or C, then “Select from Pool” on the sample player. To change the behaviour of the Swipe control you can drill down to Swipe/Control then change the table associated with the respective aspect: Pan, Amp&Doppler or Damp. This will change the response of the the Swipe Control. Did you notice my avatar? big fan! PS those Heptapods are actually birds, camels and bagpipes! Yes, I did, very cool! Clearly, I had no idea! Super cool and I also got the vibe that it fits your avatar very well. Those sound effects immediately reminded me of the movie. Oh juicy! I didn’t know he worked on it, do you know more? Afaik Dave Whitehead did the creature sound design while the music was scored by Johann Johannsson who tragically passed not long after. Such an amazing composer! Robert Aiki Aubrey Lowe, Music Department: Arrival. 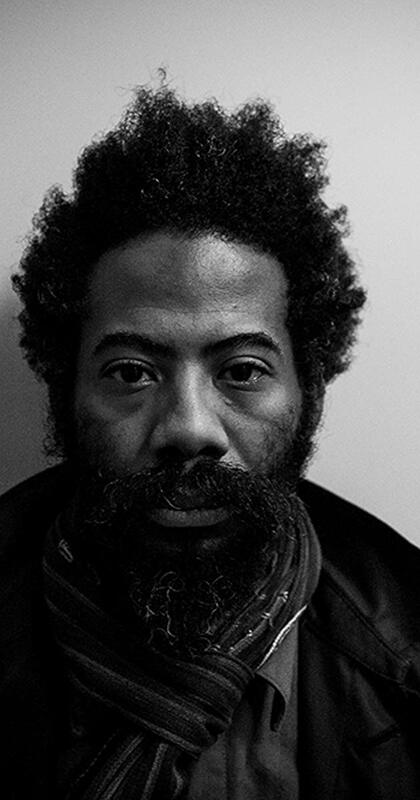 Robert Aiki Aubrey Lowe is known for his work on Arrival (2016), Sicario (2015) and Mother! (2017). lovely man, obviously very down to earth and a very open person. I do remember the modules he used included the Mysteron and Erbe Verb and the ‘trick’ was modulating the Size! Updated to 0.1.1 fixed 2 bad references to the tables. You can fix this yourself too by loading the missing files for the respective Control Windows with the same name: WinLin (with Window_R_Linear.wav) and WinExp (with Window_R_Exp2.wav). I’m not seeing ABC in process… it’s in SAMPLES? Yes Lance thank you for the correction, I’ve updated the description. The build of this is impressive! But I can’t get it to work as demo’d! Any chance of a step by step how to Load samples correctly? F*** this is so awesome! Very nice - I think I actually have a copy of that reaktor ensemble, it was called SWOOSH wasn’t it? Very cool that you’ve created something similar with the er-301, I can already think of a few ways to use this. Will have to check this out tonight, thanks for sharing! Hey Yipsi, no mine was a similar one that had some other new features that were later added to that Whoosh plugin too: granular scrubbing and manual swipe to name a couple. i’m gonna try it now, from the demos it sounds incredibly good and super useful for sound design! 301 confirms itself to be one of the most amazing environments for sound exploration outside a computer! Thanks Hyena Let me know how it goes! Some users reported that the Scanners (under the Control section) are still not loading automatically the .wav associated with them if that happens please populate WinLin (with Window_R_Linear.wav) and WinExp (with Window_R_Exp2.wav). Also if you have any tips on how to lower the CPU please let me know! I strongly suggest using the 48kHz firmware for this. sorry, im stupid. first i was using it mono and with too short samples hence some quirks. then i loaded up in a stereo chain with longer loops and it now works great. Thank you Hyena Much appreciated.